On September 20, 2003, Professor Russell L. De Valois of the Department of Psychology at the University of California, Berkeley, died from injuries sustained in an automobile accident ten days earlier. Professor De Valois was a leading figure in the study of brain and behavior relationships, and with his passing the University of California, as well as the larger scientific community, lost a brilliant scientist, an inspiring colleague, and a dear friend. “Russ” De Valois was born in Ames, Iowa on December 15, 1926. He spent most of his early life in Kodaikanal, India, where his parents supervised an agricultural missionary station. He went to the Highclerc School and at the time of the accident Russ and his wife, Professor Karen De Valois, were returning from Estes Park, Colorado, where they had attended the 60th reunion of his school class. Russ never lost his love for India, often treating colleagues to spicy curries accompanied by spicy stories of school pranks. During two of their sabbaticals, Russ and Karen returned to Kodaikanal and it was on one of these that they wrote their influential book, Spatial Vision. Russ attended Oberlin College in Ohio, where he received an A.B. in zoology and physiology in 1947, as well as an M.A. in psychology in 1948. His time in Oberlin included a summer trip to Europe just after the war, in which he paid for his Atlantic passage by taking care of farm horses being shipped to Poland to help resuscitate that country’s agriculture. An outstanding soccer player at Oberlin, he spent his year as a graduate student as a coach for the school’s team. He sometimes reminisced about having sacrificed what was certain to have been a great career as a professional soccer player to become a scientist. Russ continued his education at the University of Michigan, where he received a Ph.D. in physiological psychology in 1952. It was there that he developed a lifelong interest in neuroanatomy that played an important role throughout his career. Upon finishing his degree, he obtained an invitation to study ethology with Konrad Lorenz in Germany. By chance, just as Russ was about to begin his Fulbright fellowship, Lorenz left for England and directed Russ to work instead at the University of Freiburg with the zoologist G. Birukow. While persevering on the assigned topic, dung beetles, Russ began to interact with a cadre of brilliant postdoctoral fellows working on the visual cortex of a cat in the neurophysiology lab of Ricard Jung, and so discovered the intellectual excitement that would encompass the rest of his research life. While there, he became excited by a paper which proposed that the structure of the lateral geniculate nucleus (LGN), a region in the visual system of the mammalian brain, might provide a biological substrate of the classic theory of color vision described by Helmholtz. At this same time, the retail magnate S. S. Kresge, founder of the chain of stores that became K-Mart, made a large contribution to the University of Michigan to set up a research program in ophthalmology, and through its auspices Russ was offered a position as a research associate and lecturer in psychology as well as a position as one of the first resident scientists at the new Kresge Institute. After five productive years in Ann Arbor, he accepted a faculty appointment in psychology at Indiana University, where he remained until 1968. At Indiana, he and a group of extraordinary students, including G. Jacobs of the University of California, Santa Barbara, and I. Abramov of the City University of New York, Brooklyn, developed the opponent processing model of color vision that remains the centerpiece of the field. Professor De Valois then moved to the Department of Psychology in Berkeley where he taught and did research until his untimely death. 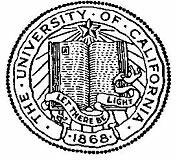 The list of his many fine students at Berkeley includes D. Albrecht of the University of Texas, R. Tootell of the Massachusetts General Hospital, M. Webster of the University of Nevada, N. Cottaris and S. Elfar of Wayne State University and M. Silverman. Another extremely fruitful scientific collaboration was with Professor E. Switkes of the University of California, Santa Cruz. However, the most important of Russ’s scientific and personal relations began in 1969 with his marriage to Karen Kennedy. This marked the beginning of a 34-year partnership and intellectual collaboration that yielded a scientific impact greater than the sum of their considerable individual talents. The physiological and anatomical organization underlying visual perception. In particular, how wavelength information is analyzed and encoded, the contribution of wavelength and luminance information to spatial vision, and how spatial information is analyzed and encoded in the visual nervous system. In his work at Michigan and Indiana, Russ first discovered and described the responses of single cells in the primate visual system to attempt to understand the neurophysiology of color vision. Following his strategy of listening to what cells had to say, he performed an elegant set of experiments that resolved a scientific controversy that had its roots in the nineteenth century work of Young, Helmholtz, and Hering. Earlier, experimenters had shown that the spectral responses of photopigments in the three types of cones could provide a biophysical correlate for the first stage of trichromacy, an arrangement in line with the postulates of Young and Helmholtz. De Valois and his associates discovered chromatically antagonistic neurons in macaque LGN and thus demonstrated the neural substrate for the second stage of color processing, similar to that proposed by Hering. Ever the biological psychologist, De Valois always insisted that every physiological observation be correlated with measures of color perception derived from behavioral experiments. No better example of this kind of behavioral/physiological correlation exists. One sees the influence of this work in a 1981 Current Contents designation of his paper, "Analysis of Response Patterns of LGN Cells," as a 'Citation Classic,' one of the most frequently cited papers of the preceding twenty years. While his work on chromatic vision continued throughout his career at Berkeley, in the 1970s Russ and his students and collaborators began to work on the neural coding underlying another of the great issues in vision, the spatial codes that allow us to see patterns. In addition to physiological recordings and psychophysical observations of spatial vision, they made important strides at understanding the underlying structure of visual processing through groundbreaking studies of functional neuroanatomy. They showed a topographic organization for spatial frequency in the visual cortex in which spatial response of neighboring neurons varies in a regular manner. In 1988, Professors Russell and Karen De Valois published an influential book, Spatial Vision, which summarized two decades of work by vision researchers in applying linear systems analysis to vision. In the 1990s, Russ returned to several perceptual questions that were not satisfactorily explained by the mechanisms of the LGN (e.g., the loci of unique hues). This work (with Karen De Valois) led to a new multi-stage model of color vision. With a record of 40 years of outstanding accomplishments behind him, Russ continued to be as bold and active as ever, and at the time of his death was still deeply involved with new data and more complex models of how the brain deciphers vision. The outstanding scientific accomplishments of Russell De Valois were recognized by many accolades and honors. Among these were a Fulbright Fellowship (1953-54), election to the Society of Experimental Psychologists (1968), election to the National Academy of Sciences (1976), the Distinguished Scientific Contribution Award of the American Psychological Association (1977), election as a Fellow of the American Association for the Advancement of Science (1977), the Warren Medal of the Society of Experimental Psychologists (1979), appointment as Faculty Research Lecturer of the University of California, Berkeley (1983), the Tillyer Medal of the Optical Society of America (1988), William James Fellow of the American Psychological Society (1991), and the Prentice Medal of the American Academy of Optometry (2002). With all of his honors and career achievements in research, Russ also continued throughout his life in Berkeley to be a hardworking and dedicated teacher. Never one to shun responsibility, De Valois often volunteered to teach the hardest courses, the large lecture courses in biological psychology and the junior-level entry in the psychology major, as well as smaller lab courses. He strongly believed in the Berkeley ethic of teacher/researcher and took special interest in educational planning, such as development of the structure of the graduate proseminar in biological psychology. Perhaps the most important honor for Russell L. De Valois was the esteem, admiration, and affection felt for Russ by his many colleagues and students. Through the years, from his beginning as a famous young professor to his later years as a wise elder departmental mentor, he never faltered in the excitement for life that was his hallmark. In later years, bad knees limited his mountain hiking and abbreviated his career as a skier, but Russ remained an avid tennis player, who for some 30 years reveled in the Sunday tennis “game” with colleagues. He had a delightful sense of humor and a great gusto for life that was infectious. His premature death left his friends and colleagues with a feeling of profound sadness and loss, but the many of us who have shared his intellect, his unbridled enthusiasm for scientific research, and his personal kindness also feel a sense of gratitude to have had the good fortune to be colleagues and friends of Russell L. De Valois.